Thanks to you for motivating me with your contest to make a detecting goal and pursue it. I would never have found what I have this year without that challenge. Looking for coin concentrated opportunities is the way that I can meet that goal. Since early spring I've only used my Fisher F75 Ltd 2 as my coin hunting detector. When the weather turned dry I changed my coil being used from the Fisher 10" elliptical concentric & the NEL sharpshooter over to the Fisher 5" DD coil, to allow for more precise pinpointing, giving up some depth in the process, but gaining some relief from target masking. I've found, for me, that I can recover more targets quickly using the 5" coil, and have recovered quarters at 6" deep using that coil. 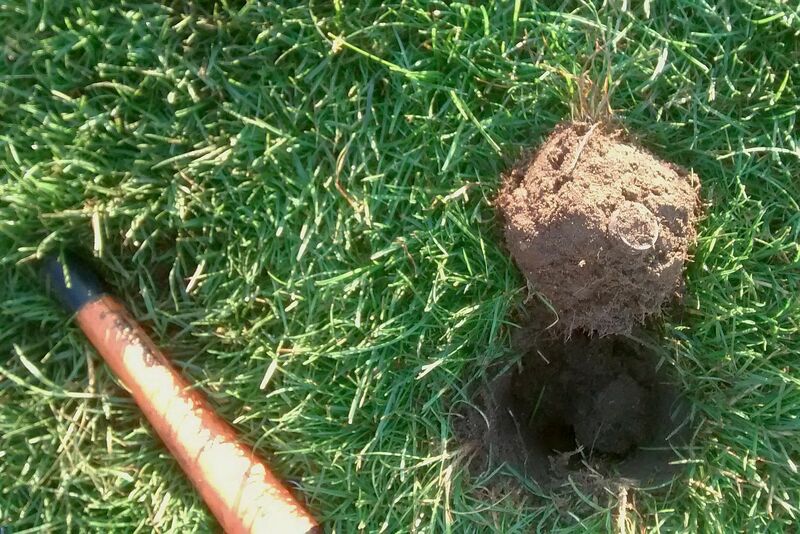 That has occurred when I've taken out a deep plug measuring 5+ inches of actual soil and had the coin lying in undisturbed ground under the bottom of the removed plug. I am personally surprised by this, as it is not supposed to occur with a 5 inch coil. My ground setting on the F 75 is typically 73 to 75 here and sometimes running to 80. I use the ground grab to balance. Typical settings, and the settings used for yesterday, with the 5 inch coil: Discrimination mode; Sensitivity at 60 ( turned down from 69 due to EMI); Disc 23; notch 1 (off); 3H tones; DE mode. I use frequency shift when necessary, and keep Sens. as high as the machine will run quiet. Turning down sens. is very important to proper target id, if strong EMI is present, and turning sens. down does not affect depth in an extreme way. Two months ago, I had never found 50 coins on a day of hunting, 40 was fantastic, and all I thought was possible without spending the entire day at it. Using a probe to locate and extract coins has sped up recovery time for me, which allows more time to find additional targets. Smaller coil helps me pinpoint faster and ID better in trash. I've heard that there are more coins which are "lost" lying in the ground than there are in circulation... I am beginning to believe that it's true. There are opportunities out there just waiting. Basketball courts, metered parking in grass, soccer field seating areas, outdoor farm markets, fireworks display viewing areas, outdoor concert areas. There are lost coins out there waiting. A lot of them are "pennies" but there is silver, and a whole bunch of quarters too!